How to open Stripe account and how to Integrate with Explara? Stripe is a Payment Gateway that allows you to collect payments online and in mobile apps. Stripe supports businesses in 25 countries. You can simply create an account on Stripe and connect that account with your Explara account. 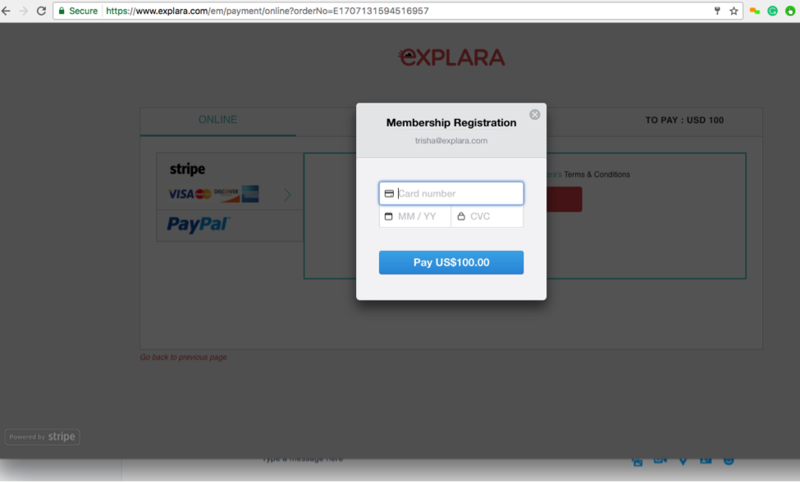 This will enable you to collect payments in International Currencies for your Explara Event or Group Memberships. Stripe has a flat charge for using their payment gateway that can vary from country to country. In order to receive the proceeds from online transaction, you need to associate a bank account to your Stripe account and start receiving payouts. You can update your bank account information at any time, and you can also customize how frequently payouts are made. Payments accepted when using Stripe for your website’s checkout go directly into your bank account instead of sitting in a third party account. The very first transfer Stripe makes to your bank will take 7 days to post in the US or Canada, and can take up to 10 days to post to UK and EU accounts. 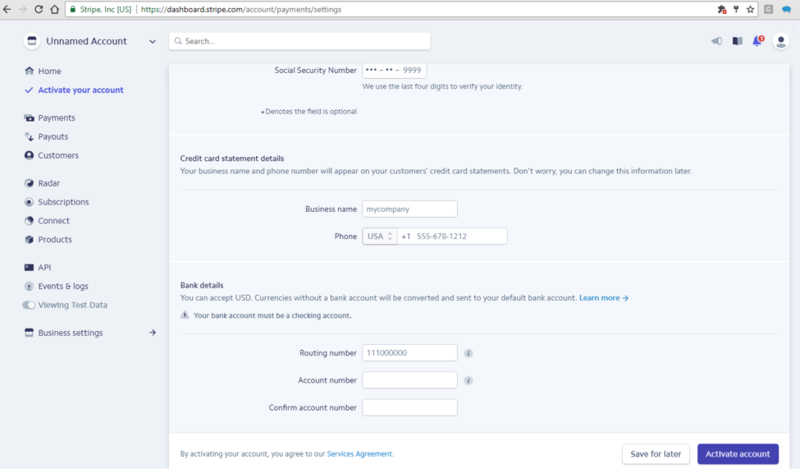 Your account is now created	Stripe will then send you an email to confirm the email address. You just have to click on the link in the email to verify. Once you login to your Stripe account, complete the setup so you can start receiving funds in your bank account. Now that your account has been activated to receive funds, you can connect it with your Explara account. You can add your Stripe details in the account level (so you don’t have to provide it again foreach event and group) or you can add the details in your group or a specific event (if you plan to use different Stripe account for different events). Login to your account on www.explara.com. Login to your Stripe account and click on API. Here you can find the “Publishable Key” and also the “Secret Key” which you can copy and paste in Explara, to enable Stripe payment gateway. Stripe’s Checkout is an embeddable payment form for desktop, tablet, and mobile devices. It works within hub.tie.org or www.explara.com —customers can pay instantly, without being redirected away to complete the transaction. https://support.stripe.com/ - Stripe FAQs and support can be found by clicking on this link.